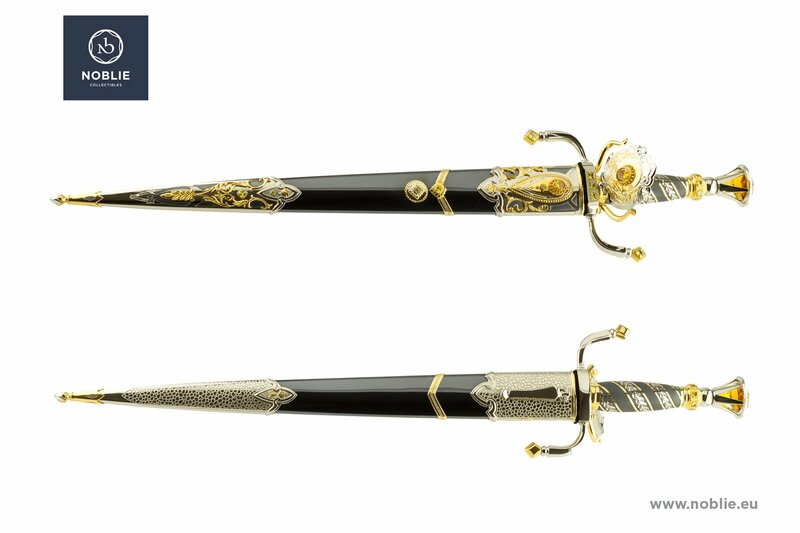 Noblie / Catalogue / Daggers / Dagger ”The sign of royalty"
Dagger ”The sign of royalty"
Produced by traditional methods of metalwork and decoration: forging, etching, polishing, engraving, nickel plating, gold plating, blackening, fretwork, inlay. Blade of stainless steel 440C, double edged, with three decorative furrows. Fine gilded engravings on the choil. 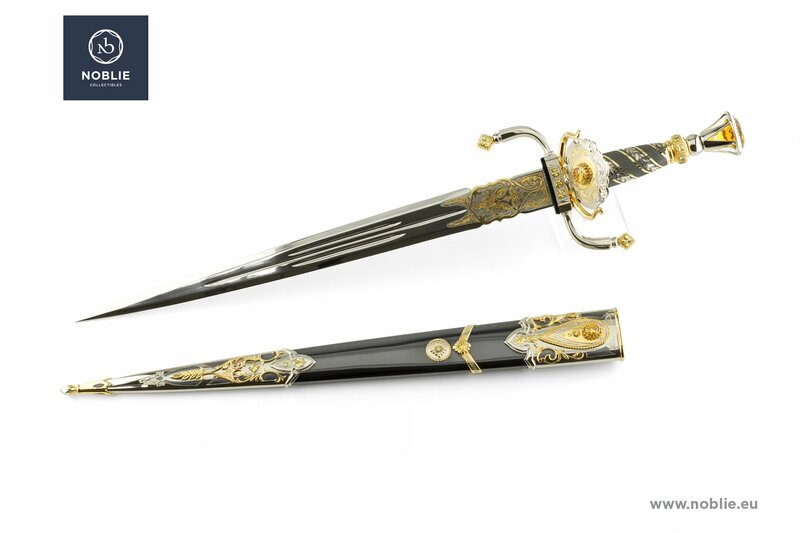 The handle is very impressive, assembled of different metal and crystal elements. A cross guard with two opposite curved nickel quillions with gilded endings. Block plate with three crystals embedded and decorative construction of lily shaped medallion, mounted on gilded legs and attached on the guard by two bolts. A grip of blackened and polished metal with engraved ribbon of leaf ornaments. 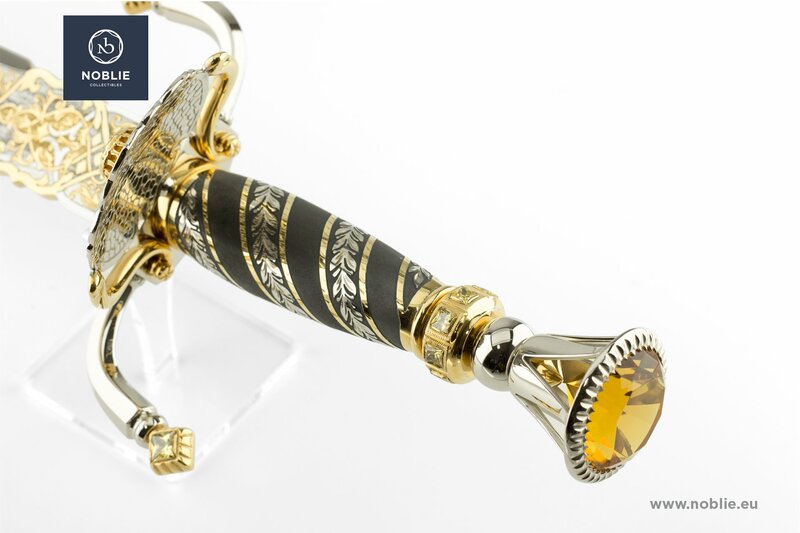 The grip ends with round gilded plate with a ring of inlaid gems. Bowl shaped nickel pommel with big crystal embedded on it. 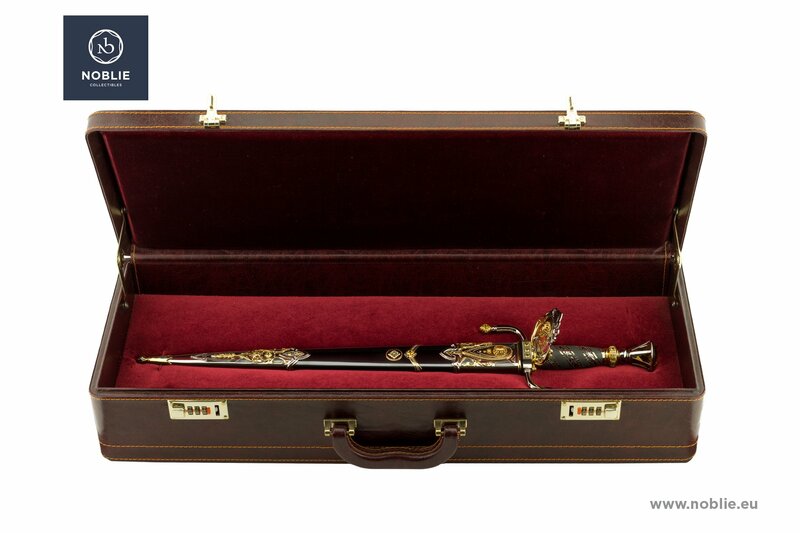 The scabbard is made of black wood and placed on top decorative metal elements. Nickel mouthpiece with engraved and lily medallion, gold coated with gem inlay on one side. Notching decoration and decorative hanger on the opposite side. 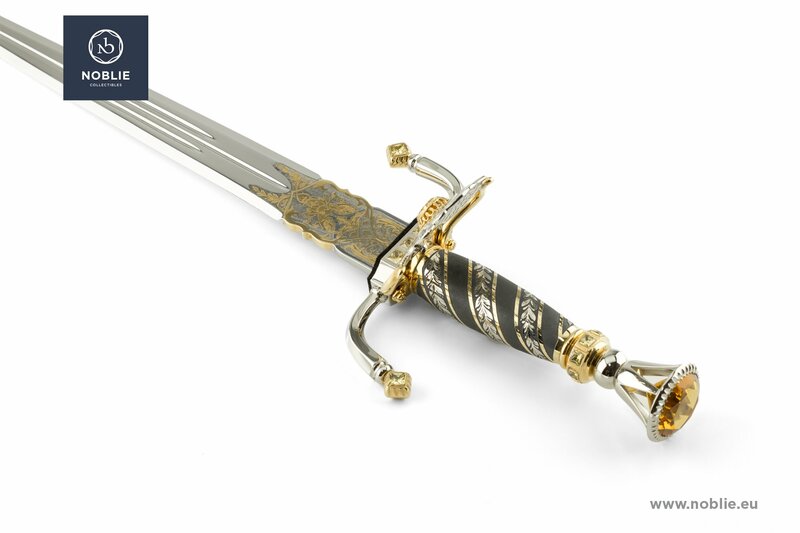 Gilded decorative ribbon and order placed in the middle of the scabbard. Impressively shaped and adorned chape with fine floral engravings, gold coated on one side. Notching decoration on the opposite side. Luxury leather safety suitcase in the set. Two pairs of demonstrative gloves in the set. Knife "Wolf hunting with dogs"